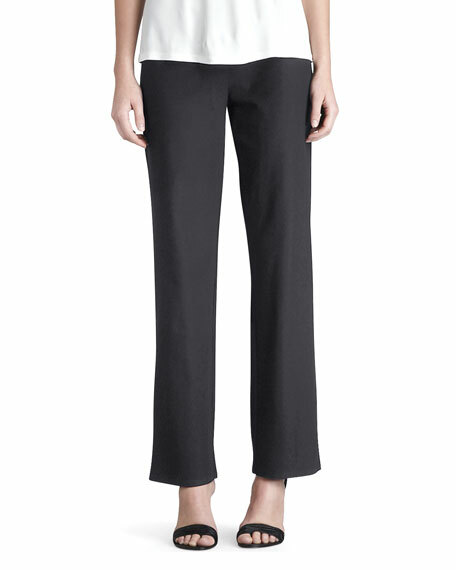 Eileen Fisher signature bi-stretch crepe pants. Approx. measurements: 10" rise; 28" inseam; 37" outseam. Flat front and back stay smooth under tops and tunics. For in-store inquiries, use sku #2160292.